Single wall alloy wheel rim. Decent quality, British-built, replacement 20-inch alloy wheels for kids' bikes. Solid axle - takes track nuts - not QR. Suitable for bikes with rim brakes (not discs). 'Founded in 1974 and since then we have grown into the foremost bicycle wheel assembler in the UK. Our success is based on many years of high levels of service and quality products. 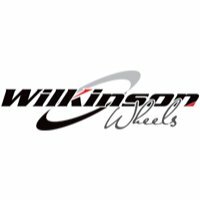 All of our wheels are built to a very high standard, using high quality components, expertly assembled by our dedicated and experienced staff in our own factory based in the West Midlands.' Wilkinson.